But will it have a place in the hearts of fried chicken eaters? 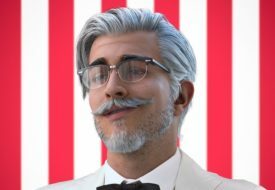 KFC is no stranger to rolling out interesting chicken offerings that are as fleeting as dates you find on Tinder. You may remember the fried chicken joint’s attempt at injecting an ‘umami’ taste profile to 2016’s moreish Umakara Chicken, or perhaps it was only last night that you tore through the salted egg-flavoured Gold Spice Chicken, a variant offered right now as we speak. While these flavours come and go, one thing that remains constant is the building foundation of the ‘Hot & Crispy’ bird. 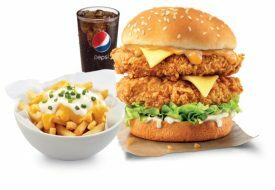 But from 1 August onwards, the fast-food chain will launch a new mainstay item on the menu: the KFC Signature Grilled Chicken. 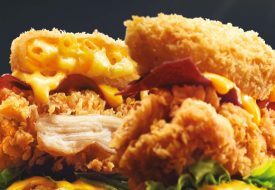 Aside from the Signature Grilled Chicken being a permanent food item, KFC did the unimaginable by making the chicken non-crispy and healthier…? 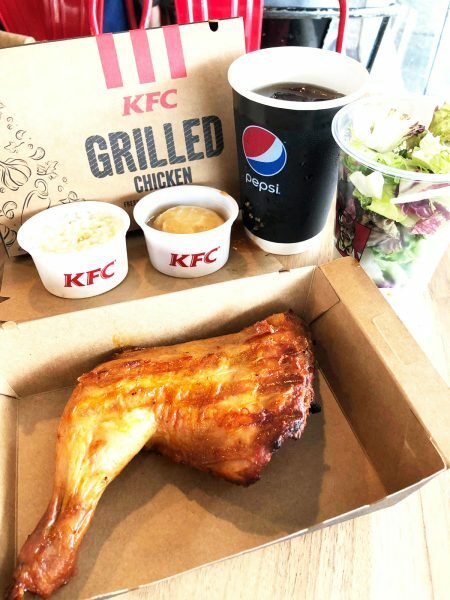 To be precise, the new offering is a one-type whole quarter leg — a first for fast-food chains to use this cut, KFC claims — that is seasoned with a marinade of paprika chilli, pepper, garlic, onion, and herbs, before oven-grilled to a light crisped golden-brown. Colour us skeptical about Signature Grilled Chicken, especially coming from devout fried chicken eaters. But as they say, don’t knock till you try it. And so we put the new chicken to the (taste) test. Upon the first bite, we received a spicy kick from the paprika chilli rub – a spiciness that is comparable to the Hot & Spicy variant. The spicy marinade also seems to sit only on the slightly charred skin without infiltrating the meat. With that saying, peeling off the skin reveals tender and succulent meat that is devoid of any redness, indicating that the chook is cooked through and through. 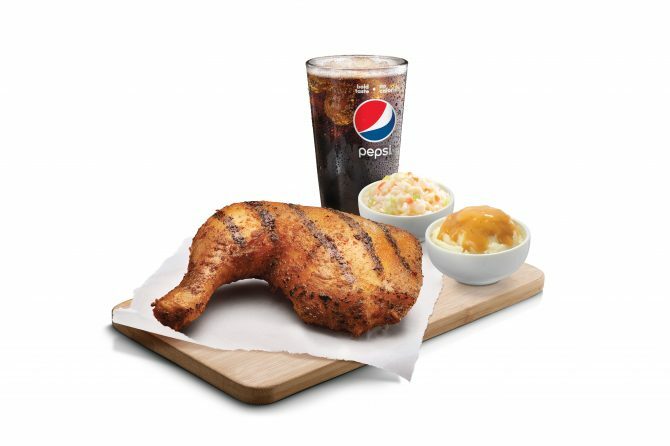 The meat also falls off the bone easily, so eating the grilled chicken with just one hand is possible. One thing to note: While it may be a ‘healthier’ option, the Signature Grilled Chicken can be quite oily, which is lovely as a diet compromise. KFC also introduces its Garden Salad, a mix of mesclun salad served with soy sesame dressing, to complete your feeble attempt at clean eating. Would you like a side of cheese fries with that?